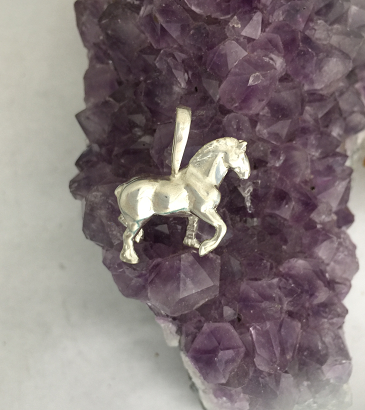 This full bodied Draft Horse pendant in Sterling Silver is great as a pendant or as a charm. The draft horse is a work horse and a driving horse beloved by many. This gentle giant makes a great gift for any horse jewelry lover.